Each and every day, you are putting foods into your body. For many people, the primary focus behind your food selection is how they impact how your body looks. And this is fine. There’s nothing wrong with looking good. But let’s back up for a moment here and really stop and consider, how are the foods you are eating on a day to day basis making you feel? And I’m not just talking about how much energy you have or how strong you are in the gym. I’m talking about how well your body – and brain – functions. Are you feeling optimized? More importantly, do you feel like you possess the most brain power possible? Sadly, many people don’t. They either struggle with not being able to remember basic things on an everyday basis (which can be downright frustrating if you are already feeling the effects of aging! ), they focus on feeling clouded minded (also sometimes called ‘foggy brained’), and they struggle with feeling like they can learn new tasks as they want. Basically, the saying, ‘You can’t teach an old dog new tricks’ has never been truer than with them. The fact is, with the right combination of the best brain foods and improve memory supplements, you can maximize your brain power, reclaim the learning abilities you had when you were younger, and ensure that you can remember all the fun and exciting times that life has to offer (not to mention key facts that you may need to know at work!). It all comes down to knowing what helps – and hinders – your brain and then making sure that you are doing everything possible to tilt the scale in the right direction. To help you get acquainted with this topic and learn the most vital supplements to take to boost brain health and memory, check out the video below. Now that you have a primer on some great ways to boost your brain function and some background information on the key products that can radically transform your life, let’s take a closer look at some of the best brain foods that you’ll want to be getting into your everyday diet plan. As you’ve gone about devising your diet plan, chances are good that you’ve put a great deal of attention into figuring out your proper intake of carbohydrates, proteins, and fats. This can help benefit your brain – there’s no question about that. For instance, if you’ve ever gone on a very low carb diet before, taking your carbohydrate intake below the 50 gram mark or so, you may have felt like you couldn’t focus properly. This ‘brain fog’ is very common among low carb dieters and is happening because the brain’s preferred source of energy – glucose – is not readily available. Some people will be able to adapt to this, eventually training their brain to run off a type of fuel called ketone bodies, while others will not. For those who don’t, they’ll simply have to elevate their carbohydrate intake higher in order to start feeling better again. At the same time, you want to be sure that you aren’t taking in too much processed and highly refined carbohydrates or this can create energy high’s and low’s in the body, that often come with a brain slump as well. If you’ve ever felt like you could just fall asleep at your desk mid-afternoon after eating a high carb and heavily processed meal, you’ll have first-hand experience with this effect. Not only will you physically feel fatigued after the crash, but you’ll mentally feel fatigued as well. So the first point to note is that you should be getting enough quality carbohydrates into your diet plan on a day to day basis. Second, you also need to ensure that your dietary fat intake is high enough. Not enough can be said about the importance of getting the right types of fats into your meal plan if you hope to achieve optimal brain health standing. We’ll go into greater detail on this when we speak about the particular foods that will help improve brain function, but for now know that dietary fats are essential to brain health. They are one of the best brain foods out there. 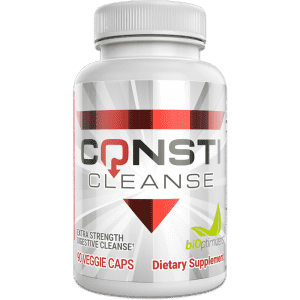 As your brain is made up primarily from fatty acids, when you aren’t getting enough, you can rest assured this will have a negative impact on how your brain feels and functions on a day to day basis. Beyond the macronutrient side of things however, when it comes to optimizing your brain function, you really need to consider the micronutrients that are found in certain foods. These vitamins and minerals can be for improving brain health. To help get you better acquainted to what is good brain food, let’s give you a round-up list of the top choices. As far as good brain foods go, you simply can’t beat salmon. 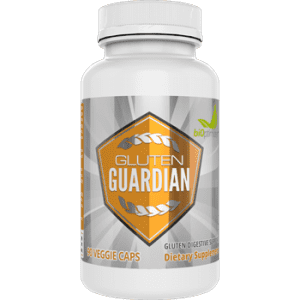 Not only does it not contain any carbohydrates, therefore it won’t create a blood glucose spike and crash which could impact focus and concentration, it is an especially helpful protein source as it contains a very rich supply of omega-3 fatty acids. These fatty acids are well known for helping to boost brain function and memory. They have been noted to help combat Alzheimer’s disease, improve memory, reduce age-related cognitive decline, and can also help ward off depression as well. You should aim to eat salmon at least once per week, if not twice per week for optimal results. Right along with salmon, mackerel is another excellent food to be including in your healthy diet plan to help boost brain health. Just like salmon, mackerel has a rich supply of omega-3 fatty acids, so if salmon isn’t your thing, you can easily swap mackerel in place of it. 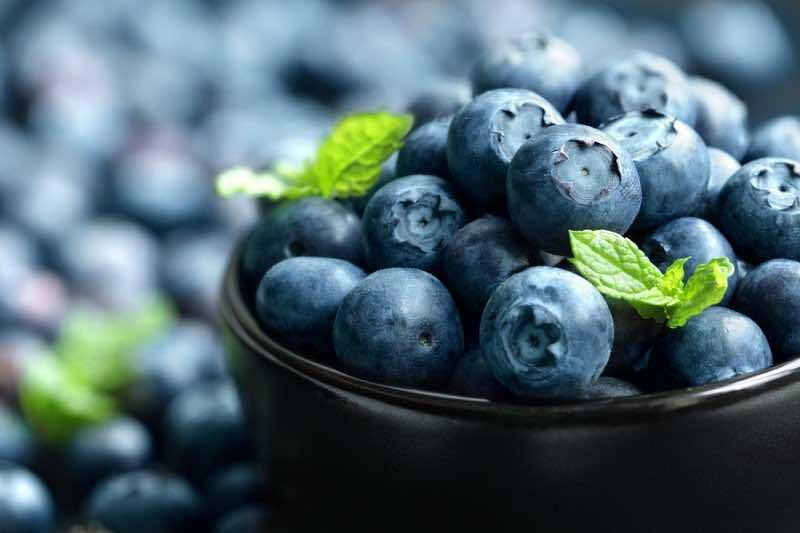 On to a carbohydrate source, blueberries are often dubbed the ‘brain berry’ because they are so powerful in terms of improving your brain function. Blueberries are loaded with key antioxidants that can help to combat any free radical damage that may occur in the brain, potentially causing age-related cognitive decline to set in. Blueberries are also quite low in calories, so they’re an easy addition to any diet plan. Serve a half cup on its own, with some low-fat Greek yogurt, or consider adding them into your protein smoothie. When most people think of the health benefits tomatoes bring, they immediately think of protection against prostate cancer. And while it’s true that the lycopene from tomatoes can help ward off this form of cancer, it’s also a powerful brain booster. The lycopene that’s found in tomatoes can also help to protect against free radical damage, especially that related to Alzheimer’s disease. By adding a sliced tomato to your salad at lunch or making a pot of home-made tomato sauce, you could be doing your part to ward off this life-changing condition. Be sure not to toss the skin of the tomato however as this is where a great majority of the lycopene is found. As an added benefit, a high consumption of tomatoes is also closely linked to improved heart health as well as it can help to lower the level of LDL cholesterol in the body and keep triglycerides in check. Quick Tip: When cooking your tomatoes, you’ll want to avoid using aluminum cookware. This is because since the tomatoes do have a higher acid content, this could cause some of the aluminum to move from the cookware into your dish, which could then have negative implications on your health. If possible, try baking your tomatoes in an oven-safe glass dish instead for optimal results. One tropical fruit that you’ll want to get into your diet whenever possible is papaya. What’s it’s claim to fame in terms of being part of the good brain foods? 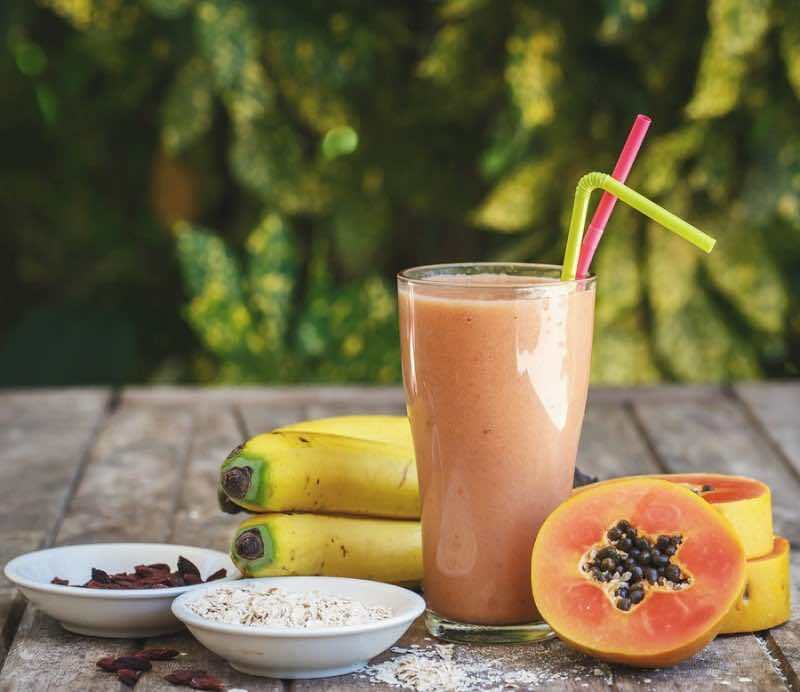 The great thing about papaya is that you’ll take in 224% of your vitamin C intake with each papaya you eat and that vitamin C can be linked to higher concentration and mental agility. Vitamin C is also a powerful antioxidant in the body and can help strengthen your immune system as well, improving how you feel on an everyday basis. The healthier your immune system is, the sharper you’ll generally feel from a psychological standpoint as well. One study published in the Free Radical Biology and Medicine journal noted that vitamin C is a vital antioxidant molecule to the brain and since neurodegenerative diseases typically involve high levels of oxidative stress, vitamin C can provide therapeutic roles in stopping ischemic stroke, Alzheimer’s disease, Parkinson’s disease, and Huntington’s disease. One seed that you’ll want to ensure you aren’t overlooking in your diet plan is the flaxseed. This is one of the most well-rounded foods out there as it provides with you with a great dose of healthy fats, especially the omega-3 fatty acids we noted above. In addition to that, it’ll also provide you with some dietary fiber as the main form of carbohydrate (which helps you avoid those unwanted blood glucose spikes!) along with a small dose of protein to help stabilize blood glucose levels further. You can either serve flaxseeds ground up or if you prefer, prepared into an oil, in which case, it will be 100% pure fat content. Try adding flaxseeds to your diet by sprinkling on a tablespoon of ground flaxseeds onto your morning bowl of oatmeal or adding it to any baked healthy treat you are preparing. If you’re someone who isn’t so fond of the taste of flaxseeds, you instead might consider adding chia seeds to your diet instead. Chia seeds, just like flaxseeds, are also a rich source of omega-3 fatty acids and will provide a small dose of protein as well. In addition to providing a whopping five grams of omega-3 fatty acids per one ounce serving, they’ll also supply you with 30% of your total manganese and magnesium intake and 27% of your total phosphorus intake as well. In smaller doses, they’ll also give you a good amount of zinc, vitamin B3, potassium, vitamin B1, and vitamin B2 as well. At 137 calories per one ounce serving, this is a fast and easy way to get your brain-boosting nutrient needs met. Because almost all of the carbohydrates they contain are dietary fiber, this also means that they work very well as a low carb food. Shunning eggs because you are too concerned over the cholesterol they contain? Don’t be. As long as you currently don’t have any heart-health issues to worry about, there’s nothing wrong with including one or even two eggs in your diet per day. What’s more is that eggs may actually help to boost your brain power as well. Eggs are considered to be one of the best memory foods that you can eat thanks to their high choline content. Just one egg will supply 35% of your total daily choline quota, making it one of the top rated foods for this nutrient. Other excellent sources to consider are shrimp, scallops, and salmon (which all will provide doses of omega-3 fatty acids as well!). 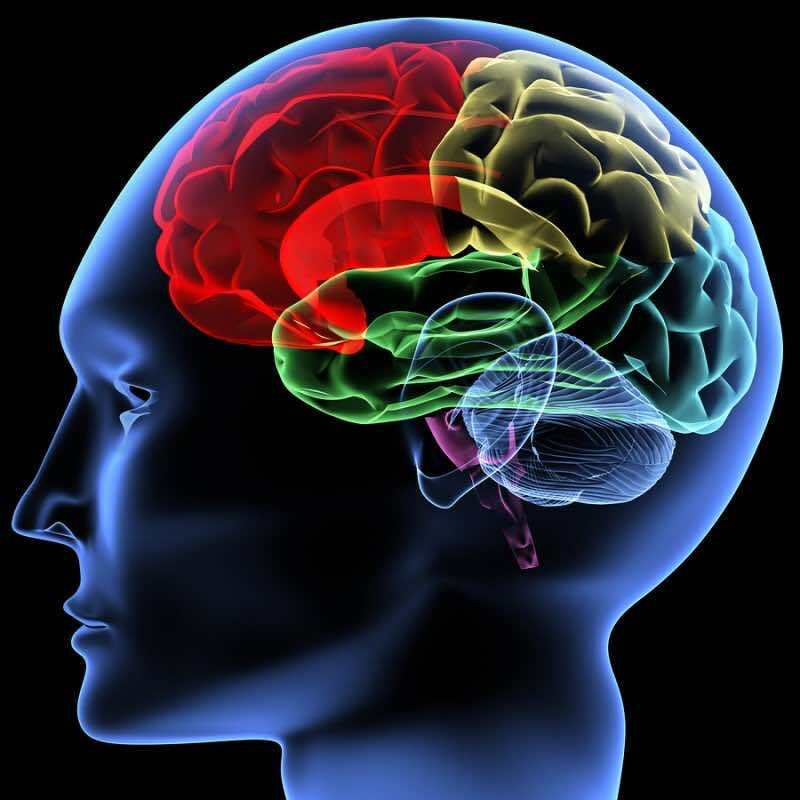 One study published in the Journal of the American College of Nutrition noted that when young test subjects received choline supplements, their brain function changed resulting in lifelong memory enhancement. The researchers noted that this change was due to the changes that took place in the development of the memory center of the brain. The researchers noted that increased choline is typically required by men who tend to require more on a day to day basis as well as in pregnant and lactating women, who experience choline depletion as well. The moral of the story is to eat your eggs! This highly versatile protein source should be a part of everyone’s diet plan. While not necessarily a ‘food’ per say, coffee can be a great addition to any plan to help boost brain health. Most people have already felt the focus enhancing benefits that coffee can bring, so you may be no stranger to this fact. Coffee, when you purchase high quality pure beans, can also be a fantastic source of antioxidants and help promote better health. This said, you do need to know a few things. First, too much coffee is not a good thing. It’ll cause jitteriness, anxiety, and can make it harder for you to sleep at night. Since sleep is also imperative for optimizing brain function, you can’t overlook the importance of it. If coffee stands in the way of you and a good night’s sleep, that is a problem. Second, you will adapt quickly to coffee. If you are drinking it daily, it won’t be long before the mentally stimulating benefits start to wear off. Your body will adapt to the caffeine found in the cup of coffee and soon it just won’t be doing much for you. At this point, your only option will likely be to increase your caffeine intake so that you can feel the effects once again. And while this may feel good initially, before not too long you may find yourself slamming back three, four – or more cups per day. Moderation is key with coffee if you want to reap the brain boosting benefits it provides, so aim to limit yourself to using it just twice per week. This tends to be the sweet spot for most people so they won’t develop a tolerance. In addition to that, you might also want to start considering some healthy coffee alternatives. Alkalinized water is one of the best things that you can put into your body that will not only boost brain health, but also help to dramatically increase your physical health as well. 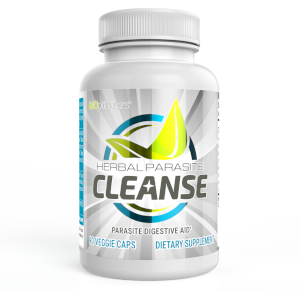 It will help to lower the acidity in the body, helping you achieve a healthy alkalinized state that is associated with lower levels of disease and health problems. Staying hydrated is also important for maintaining optimal brain function as just slight dehydration can have detrimental impacts on brain function. One study published in the Neuroscience journal noted that when in a dehydrated state, the individual will have to put forth higher perceived effort to complete basic mental tasks. Blue green algae is one food that you rarely come across and would never find in your supermarket, but it’s one that you may want to consider if you hope to boost brain function. Blue green algae is a microalgae that contains a number of key components including phenethylamine, chlorophyll, carotenoids, B vitamins, omega-3 fatty acids, enzymes, proteins, and phytonutrients. It’s often considered to be a superfood by many specialists and when used as one of the improve memory supplements, it can help to increase mental focus and concentration. So there you have a closer look at some of the good brain foods that you should be adding to your diet plan. 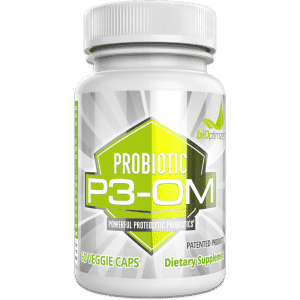 On top of this, supplementing with a high quality mineral product such as Primergen-M is also a wise move as this will help ensure that your body is getting the mineral support that it needs to carry out optimal brain activity. If you take your nutrition seriously and be sure that you are paying close attention to the foods and supplements that you put into your body, you can ensure that you see optimal brain boosting results. Do you have any particular favorite brain boosting foods you’d like to share? Comment below and let us know. Want to learn more about what you can do to optimize your brain function as well as the health of your entire body? Check out my free 84 day course where I cover everything you need to know to get your healthiest body ever. Harrison, Fiona E., and James M. May. “Vitamin C function in the brain: vital role of the ascorbate transporter SVCT2.” Free Radical Biology and Medicine46.6 (2009): 719-730. Zeisel, Steven H. “Nutritional importance of choline for brain development.”Journal of the American College of Nutrition 23.sup6 (2004): 621S-626S. Kempton, Matthew J., et al. “Dehydration affects brain structure and function in healthy adolescents.” Human brain mapping 32.1 (2011): 71-79. Nemets, Boris, Ziva Stahl, and R. H. Belmaker. “Addition of omega-3 fatty acid to maintenance medication treatment for recurrent unipolar depressive disorder.” American Journal of Psychiatry (2002). ← Air Purification Systems – How To Clean The Air At Home & What Do Humidifiers/Dehumidifiers Do? Hi Wade – I noticed the link to the water resources (covered in other lessons, I recognize) was not included in your article here, and I think that would be a good idea to cross-link back to the water systems talked about in the video. Thanks!